The Dell XPS 15 Owner's Manual is available online. The manual has been published by dell.com. For owner of this laptops, please download here. 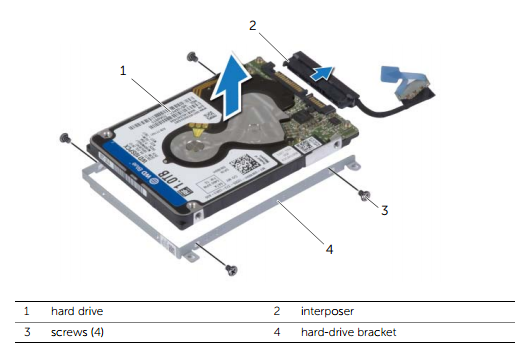 Many information of this manual for example Flashing the BIOS, Removing and replacing the Base-Cover Assembly. Other important information such as Removing the System Badge, battery, NFC card, hard drive, speakers, wireless card, Removing the Coin-Cell Battery, Removing the mSATA Card, fans, Replacing the Thermal-Cooling Assembly, power adapter, Removing the I/O Board, memory module, Replacing the Palm-Rest Assembly and more. The Dell XPS 15 laptops comes with main specs and features such as powered by Intel Core i7, 2100.0 MHz processor, it has 15.6 inches with resolution of 1920 x 1080 pixels, available 758.0 GB drive, 1600.0 MHz memory speed, 8000.0 MB (DDR3), Microsoft Windows 7 Home Premium, and CyberLink PowerDVD 9.6. Download Dell XPS 15 Owner's Manual and Flashing the BIOS tutorial here.